I love pixie bonnets!! There, I said it. I probably have 20+ styles of pixie bonnets and recently I’ve found myself contemplating buying gorgeous upcycled pixie bonnets that appear (and disappear) in a flash on Facebook. These things are HOT right now and it’s nearly impossible to buy one because everyone wants them. So, my little brain started cranking and I’ve figured out a way to make a NO-SEW upcycled pixie bonnet of my very own! Let me tell you, there is something exciting that happens mentally and emotionally when you make something of your own. I think I stared at my first newborn pixie hat creation for a good 30 minutes marveling in my ability to create something I love out of something I didn’t (my old shrunken sweater). And the best part is that I’m going to show YOU how to make your own too! 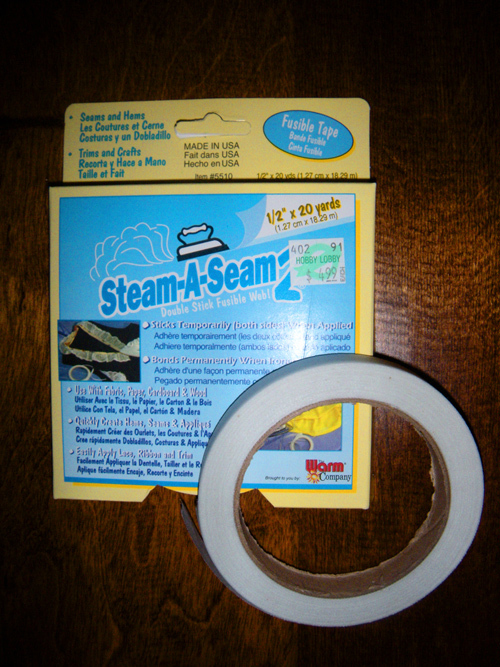 Here you can see that the Steam-a-Seam looks like a roll of tape. It has a backing you peel off and it’s sticky on both sides to bind to pieces of fabric together to create a seam. Genius I tell ya! 4. Cut out your pixie hat from the pattern. Be sure not to cut along the fold or garment edge. 6. Take your iron and press down on the pixie hat on the side with the steam-a-seam tape. Hold the iron down for 10 seconds at a time. Lift. Repeat. This is melting the tape onto the fabric. aaaand you’re done!! Here is my hat modeled on a sweet baby! LOVE thank you for sharing! 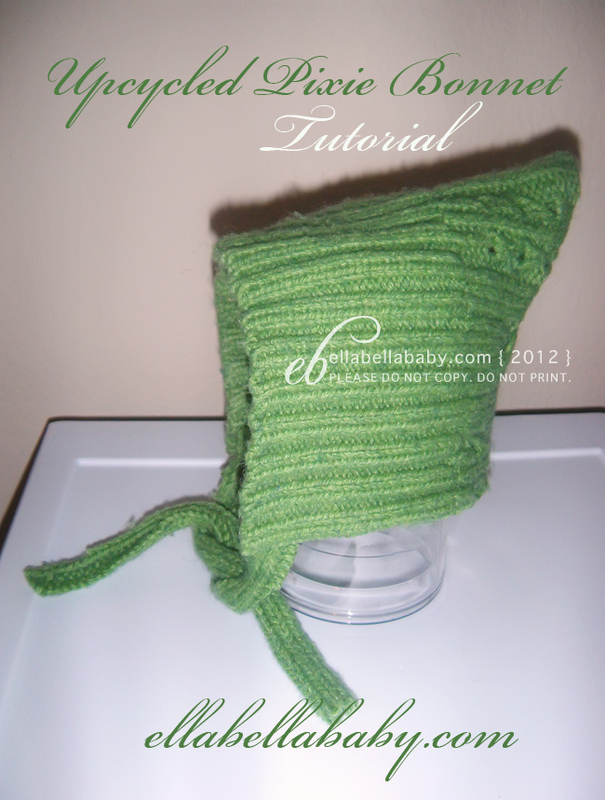 Great idea-so much easier than knitting one ! Thank-you so much for sharing this tutorial. I found it through pinterest I made three hats out of old sweaters today using stitch witchery and they turned out great! Your tutorial was great! Thanks to you, I just made my first upcycled hat. It was so easy I managed to complete it while I nursed my baby to sleep. best tutorial ever!! 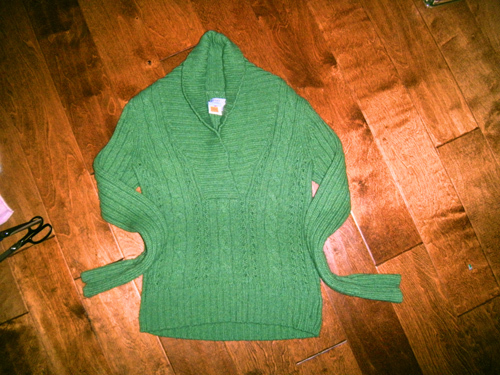 Not sure if I have any sweaters I can upcycle, but I think tomorrow warrants a trip to the second hand store!! Thank you! This is a totally cute idea… I want to make one but wonder if you had problems with the raw edge unravelling? Or what you did to prevent it? Thank you! I will be trying this out! Wonderful idea! So darling!!! I found you on Pinterest-thank-you for sharing this tutorial!! AMAZING! THANK YOU! THIS IS GONNA SAVE ME TONS OF MONEY! IM GONNA HOT GLUE THOUGH! I know what I’m doing with my good will find today.